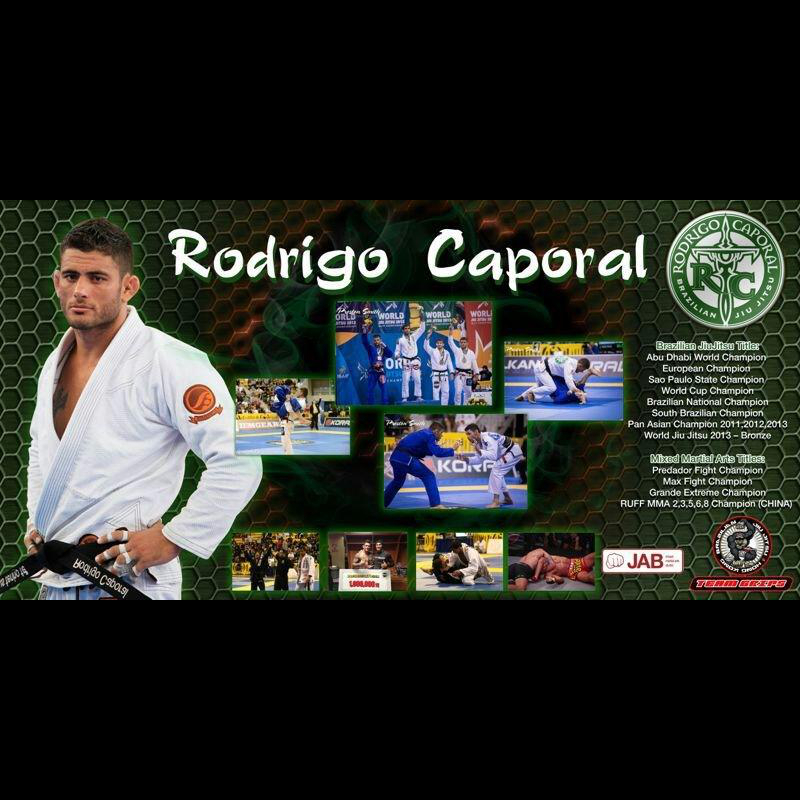 Rodrigo Caporal was born on the 27th of April 1983 in Guarulhos, Brazil. He grew up in the coastal city of Caraguatatuba in the State of Sao Paulo. Rodrigo started relatively late in jiu jitsu for a high end athlete in the sport. He began his training when he was 18 years old initially as a hobby, but quickly fell in love with the sport and began entering competitions shortly after. His first coaches were Omero and Simone Pessoa, both of whom followed Caporal’s evolution in jiu jitsu from white to brown belt, and to whom he owes a lot of what he is today. It was when he reached his brown belt that he moved cities to train with acclaimed instructor Ramon Lemos at his academy in Rio Claro. There he shared the mats with some of the world’s finest jiu jitsu practitioners, including Claudio Calasans, Rafel and Guilherme Mendes, and Gilbert ‘Durinho’ Burns amongst many others in a star filled jiu jitsu camp. At the Atos Academy he acknowledged how important jiu jitsu was in his life and decided to make it his full time occupation. Rodrigo embarked on this new career in 2008, when he received his black belt from Ramon Lemos. 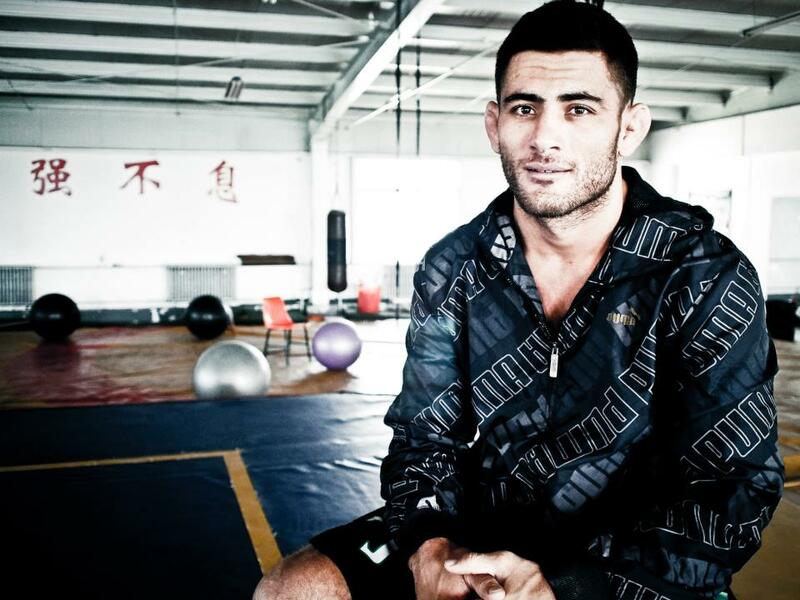 In 2010, Rodrigo took an opportunity to move to Hong Kong and teach jiu jitsu at a local academy. 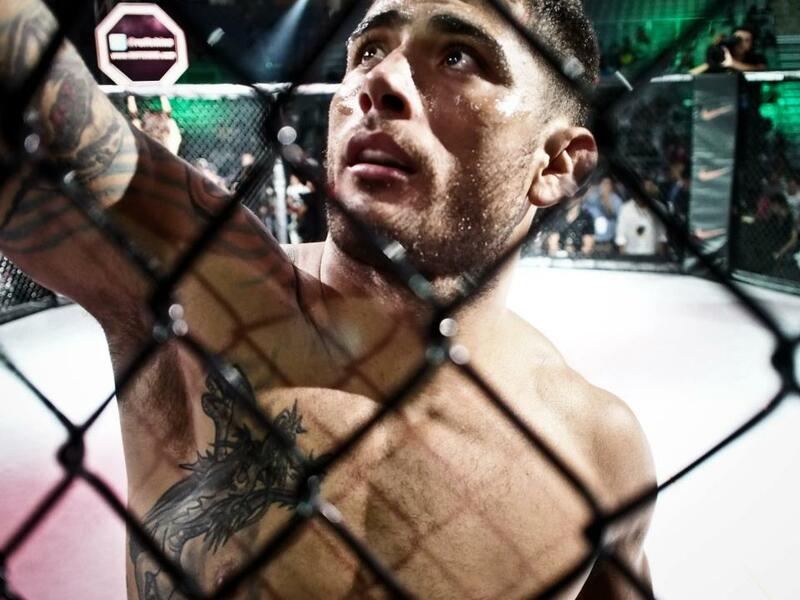 During this time, he also began expanding his MMA career, ultimately joining the Ranik Ultimate Fight Federation (RUFF) in China, where he went on to win the lightweight championship belt title. Today, Rodrigo teaches and trains full-time at JAB MMA. He also teaches seminars around the region. In addition to his MMA fight commitments, he continues to compete in international jiu jitsu competitions, most recently winning bronze at the 2013 World Jiujitsu Championship. Rodrigo strongly believes that God has guided and protected him throughout his life, and credits his faith and trust in God for getting him to where he is today.